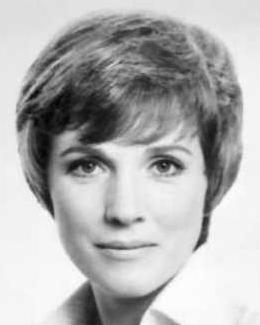 James Arntz, Thomas S. Wilson: Julie Andrews. Chicago: Contemporary Books, 1995 - 237 S.
In his second biography of Andrews (following Julie Andrews, LJ 3/15/83), Windeler continues to look at a woman about whom surprisingly little has been written. 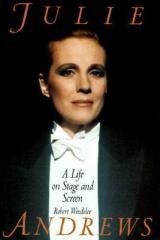 He covers Andrews's career from its start in 1947, when she was 13, right up to her recent refusal of a Tony nomination for Victor/Victoria as well as her private life. Windeler tries to show the "real" Andrews as anything but Mary Poppins, a role that gave her an Academy Award and a firm place as a star but forever typecast her as perky and sweet. No dramatic roles she has tried have sat well with her public. The irony is that, though she's occasionally foul-mouthed, there really aren't any skeletons in her closet. While there are no bombshells in this interesting but dry biography, 1997 marks Andrews's 50th year in show business, and much has happened since 1983. So even if you have the older book, fans will want this one. 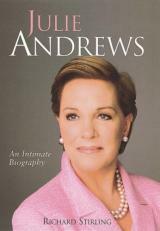 Library Journal (© 1997 Reed Business Information, Inc.) > 236 S.
Julie Andrews is the last of the great Hollywood musical stars - her extraordinary career spans more than forty years. Her first film, Mary Poppins, was Disney's most successful film, and in 1965 The Sound of Music rescued Twentieth Century Fox from bankruptcy. Three years later, Star! almost put the studio back under, and the leading lady of both films fell as spectacularly as she had risen. But Julie Andrews is nothing if not a survivor; and despite many setbacks - including the tragedy of losing her singing voice in 1997 after a botched operation - she's still a performer, recently starring in Shrek and The Princess Diaries. Richard Stirling's deeply researched biography - based on many years of contact with Julie - is a frank but affectionate portrait of an enduring icon of stage and screen. > 8+376 S.